Applications for the 2019 HOBY Ohio West seminar have closed. Thanks to all applicants who took the time to apply. There were a tremendous number of applications, and the process was very competitive. Though all positions are currently filled, please feel free to reach out to see if any vacancies have become available. Are you a 2019 seminar staff member? Read below for more info. Congratulations to our 2019 staff members! Make sure to check your email for updates leading up to the seminar. Questions? Email Jerrod Amstutz or Caroline Mangan at hobyohioweststaff@gmail.com. For the seminar you will need to arrive on the campus of Ohio Northern University, in Ada, Ohio, on Wednesday, June 5th, 2019, no later than 5:00pm. Plan on staying until 6:00pm on Sunday, June 9th, 2019. Housing will be provided, and you must be available for the entirety of the seminar. ALL 2018 alumni must have at least 100 volunteer hours LOGGED on the HOBY International site by June 1st, 2019. 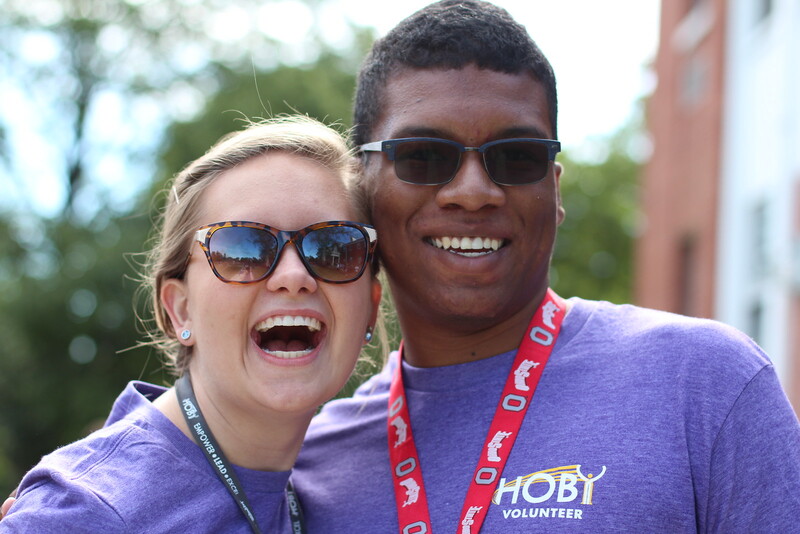 Fill out the HOBY International volunteer application. You need to fill this out in addition to the application you filled out with Ohio West.